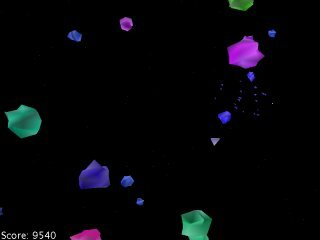 AsteroidsGL is my clone of the classic game Asteroids. It's a work-in-progress. There's still a lot of work to be done, but it's here if you'd like to check it out and see how it's coming along.